Double exposures; the surface, and things submerged. I think Monet would approve. That’s good to hear, Scilla! Exactly my first reaction: Monet! These are breathtaking, Karen– the layers, the colors. Yes I agree, Monet would definitely approve, great photo-paintings once again. I like them a lot…like abstractions of reflections…a joining of images from the mind’s eye and the literal eye…wonderful. Thanks for your great words, Scott. Much appreciated. Yes, Carlos, I do remember. And your images are beautiful – autumn leaves like floating petals – and the colours are very striking. Yes, I guess these have influences of all the other art I’ve seen – it’s funny though when you are making images, you don’t really think about any of that consciously, really. Thanks for your comment, Yoshizen. Karen, these are so beautiful. I think I see tiny fish in the top one, too. Somehow those depths have so much mystery. 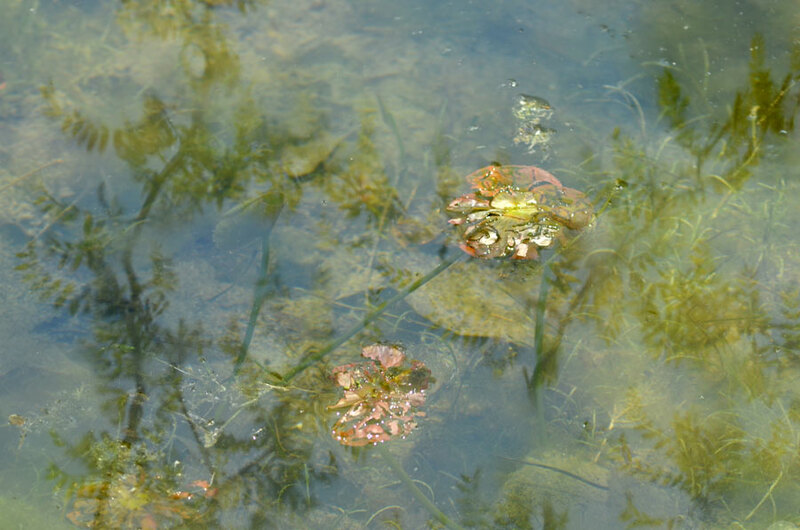 I have done oil paintings of ponds and their algae and lily pads – fascinating subject and your photos are exquisite. Hi Judy, yes there are many little minnows in there flitting about. Water can be an endless source of inspiration, I find. Instant Monet without a doubt .. just lovely! Reflection, light, dimension, color, texture=well, everything beautiful! Are those little fish in the first one? Very pretty, all of them. Evokes Monet. A favorite… beautifully shot, Karen. Love the colors and composition. Very beautiful you have painted a Watercolour with you camera Karen.I am impressed. Karen – these are so delicate, so breathtakingly beautiful. So many dreamy and exquisite layers! These are so beautiful Karen. Pure art! These are remarkable. I thought they were photos of Monet paintings until I read your text. Just beautiful. Thank you. Love this realist work as well as well as your ethereal / surreal. That first one especially is just stunning! Love all the little fishes. The first one sings like an ode to life. Wonderful. Ah, those layers of bliss, Karen! Beautiful pictures, Karen, especially the top one. Monet would certainly approve! It seems to be Monet’s pictures…So beautiful world. Your aesthetic sense and imagination are really wonderful. Beautiful abstract patterns – the first one especially. A wonderful quiet feel to them. The reference to Monet, made by so many others, is very true. Many layers of hard work, not just now, but over time are being rewarded. I agree with scillagrace. My very first impression. I shall refrain 🙂 ……. They are typically your style; one only needs look at other work on your site. Yes, Monet also came to my mind, instantly!! These are gorgeous, Karen. The first one reminds me of Monet too. Although there is a harsher texture to your image that lends it a keen edge, a crisper “attack” and a really nice surface to depth tension. Really reminds me of spring and so perfectly tactile. I just love these. Very beautiful. 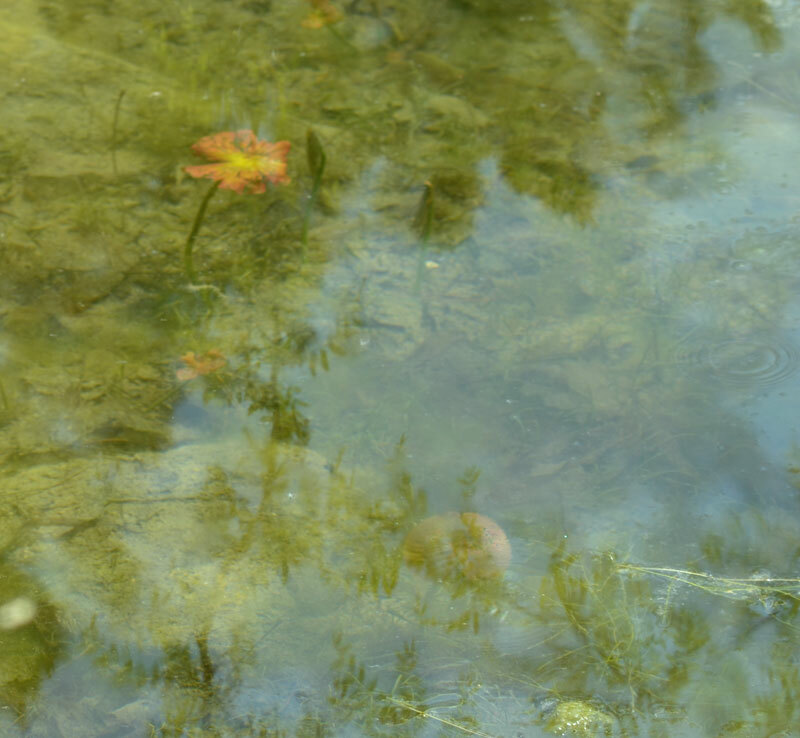 A touch of Monet feeling, but definitely a Karen McRae work. Spectacular. 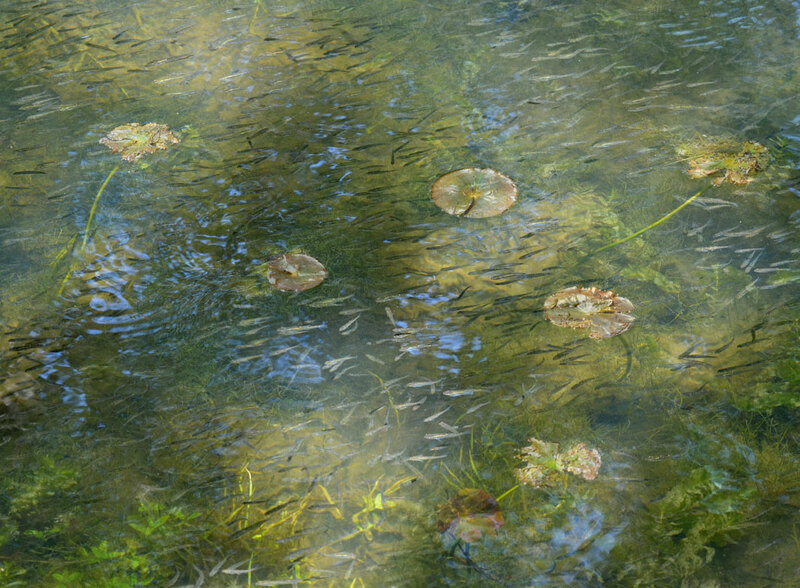 One can see why Monet painted waterlilies. Such beauty and artistry! You have definitely fulfilled the definition of photography – painting with light. Karen, I just love how you present nature as a kind of “museum” through your photography. Lovely series! These are wonderful and the first is really perfect! I said it before but I have to say it again – I love your work! This is wonderful! Have you been to Giverny, Karen? No, I haven’t been to Giverny, but that would be a nice trip! Have you been there?